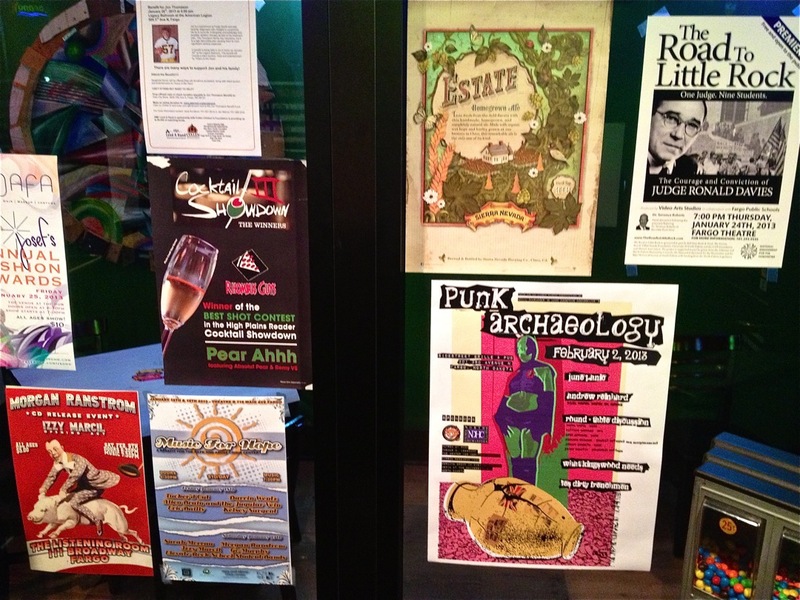 Around the Fargo-Moorhead area, here is a glimpse of some of the first Punk Archaeology handbills to go up. This one is secured to the entrance of the Rhombus Guys Pizza joint on Main Avenue in downtown Fargo in Cass County, North Dakota. For more details, click here. On February 2, 2013 (a Saturday) at Sidestreet Grille and Bar in downtown Fargo, ND, music will kick off around 7:17pm, and the panel discussion just a bit later. And like any quality un-conference time, it may start just a little before, or a little after. Swing on down if you’re in town. It is happening. And it will be awesome. Various handbills in the entrance of Rhombus Guys in downtown Fargo, North Dakota. Punk Archaeology handbill lower right. This entry was posted on Tuesday, January 15th, 2013 at 10:14 pm	and tagged with Fargo, North Dakota, Punk Archaeology and posted in Uncategorized. You can follow any responses to this entry through the RSS 2.0 feed.